In Steven Sinofsky’s this blog – Bringing Hyper-V to “Windows 8”. He talks about that Windows 8 will support virtualization on the “client” OS. This is very helpful for developers as they typically have the need to setup additional test environment on their PC/Laptop. Be running a 64-bit version of Windows 8. In the Windows 8 Control Panel, tap or click Programs, and then tap or click Programs and Features. Tap or click Turn Windows features on or off. In the Windows Features dialog box, select the check boxes for the Hyper-V items that you want to install, and then tap or click OK. 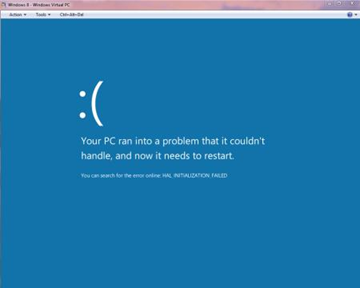 Note: You must restart your computer to complete the Hyper-V installation. After restarting the computer, you can use Hyper-V Manager or Windows PowerShell to create and manage VMs. You can also use VM Console to connect to VMs remotely. 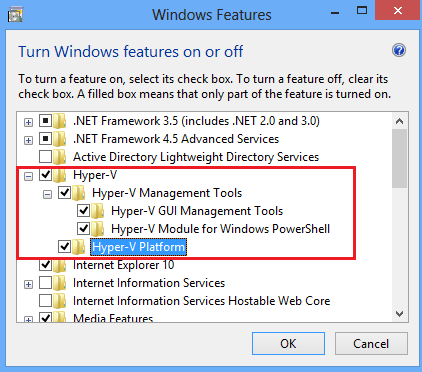 What Isn’t Included in Client Hyper-V? SCVMM Cmdlets allow SCVMM admin/users to do everything they can do in SCVMM AdminConsole in windows PowerShell command line. In SCVMM 2008 R2, you can run following command in PowerShell to run SCVMM cmdlets. Import-Module "C:Program FilesMicrosoft System Center 2012Virtual Machine ManagerbinpsModulesvirtualmachinemanagervirtualmachinemanager"
And you can run Get-Help on any of the cmdlets to get the syntax for that cmdlet. SCVMM use BITS over https to deploy virtual machine to host server. To improve the performance of virtual machine deploy, you can disable encrypted file transfers for Host Group. Click Host on the left side pane. Right Click on All Host node, and select Properties. Note: if you use library server, you should set Allow unencrypted file transfers for every library servers. 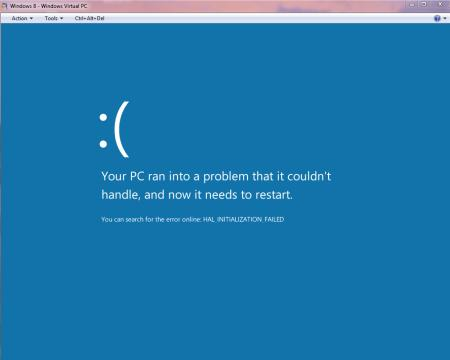 You might get following error after you move or replace a virtual disk drive file of a hyper-v virtual machine. This is because the permissions on the new virtual hard drive (D:VMTestVMTestVM.vhd in this case) are incorrect. Here is the steps to fix this permission file. Find the Virtual Hard Drive and choose “Remove”. Re-add the same Virtual Hard Drive back to the machine. Now start the VM again, it should boot successfully. There are two versions of the TraceWrapper.dll in SCVMM install CD. One is x86 version and the other is x64 version. When you build your application on top of SCVMM library Microsoft.SystemCenter.VirtualMachineManager, it’s very important to pick up the correct version TraceWrapper.dll. In general, you should copy the 32 bit dll if you are using 32 bit system, copy 64 bit dll if you are using 64 bit system. Otherwise following BadImageFormatException would occur during runtime. Could not load file or assembly ‘TraceWrapper, Version=1.0.523.0, Culture=neutral, PublicKeyToken=31bf3856ad364e35’ or one of its dependencies. An attempt was made to load a program with an incorrect format. You need debug your app in Visual Studio directly. In this case, process launched from Visual Studio debugger runs in WOW64 mode. IIS is configured to run in 32 bit mode. In this case, all working processes run in WOW64 mode. This is because in 64 bit windows, processes in WOW64 mode are 32 bit processes and can’t load 64 bit TraceWrapper.dll. Remote Server Administrator Tools (RSAT) is not compatible with Windows 7 SP1. If you install Remote Server Administration Tools on Windows 7 SP1 slipstreamed media, you will get following error. That’s because current RSAT version only supports Windows 7 RTM. To workaround this issue, you can Install Remote Server Administration Tools before installing Windows 7 SP1. The SP1 upgrade will update RSAT to SP1 version. The other option is wait for official release of Remote Server Administrator Tools for windows 7 SP1, which will happen this April. Other than rolls up all previous released windows patches since RTM, Windows Server 2008 R2 SP1 contains two new features. Dynamic Memory and RemoteFX. Dynamic Memory is a memory management feature for Hyper-V VM administrators. Dynamic Memory allows administrator allocates a range of memory to indivual VMs and windows system will automatically adjust memory of each VM based on performance. RemoteFX creates a local like experience for remote users, including windows Aero and 3D contents. If the virtual machine is hosted on a Windows Server with Hyper-V and has Integration Service installed, you can look at following virtual machine’s registry to identify the physical host machine. If you use PowerShell, here is a one line script that can indicate host name. I recently upgraded my virtual machine hosting server from Window Server 2008 to Windows Server 2008 R2. There are some noticeable performance drop, especially on virtual machines that handles big log files, the automation script execution time can take 200% or more than it was in a VMHOST with Windows Server 2008. The default power plan in Windows Server 2008 R2 is Balanced. After I change Power Plan to High Performance and the performance downgrade issue does no occur any more. My guess is when power plan is set to balance, applications might not full utilize all available hardware resources. You can also checkout this post for Set the power configuration to High Performance in scripts.